Don’t Forget to Put All Your Sales on Your Website. 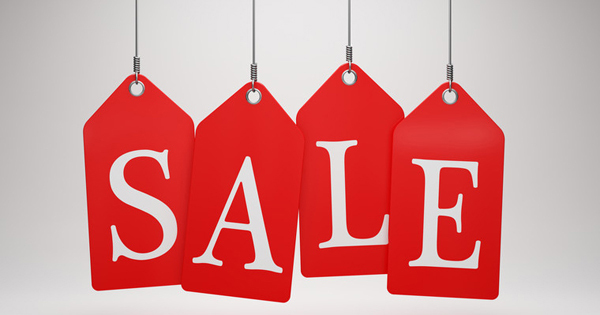 You should put each and every one of your sale events on your website and make them easy to spot. This may seem like a no-brainer, but it isn’t unusual for retailers to build a website and then just let it sit there unused. I have often become interested in a product from a broadcast commercial or print ad. Then I’ve gone to my computer and looked up the business. When the Home Page comes up, I am faced with a screen that has zilch about the particular sale I was interested in. Usually, I abandon my quest and don’t seek any further. How many customers do you think you might be losing in the same manner? Each and every one of your sales should have its own landing page on your Web site. This sales page should promote your sale and its benefits to the consumer. It should have a call-to-action at the bottom of the page and it should have a time deadline. You can put the specific landing page’s URL (web address) on your direct mailer, print ad, and in your broadcast spots. Of course, you must also make sure that visitors to your Home Page can easily navigate to your sales page as well. Remember when you have a sale that isn’t reflected on your website, it creates a strong disconnect with your consumer. She might think, “Maybe there really isn’t a sale after all.” Or she will think you aren’t very helpful. So don’t let your website just sit there looking pretty. Put it to work and let it help you make more sales. Easy Web Tip #5: It’s counterproductive to run a sale and not to also put it on your website. Be sure to write the meta tags to attract even more customers at no additional advertising cost. « Guard and Monitor Your Online Reputation.